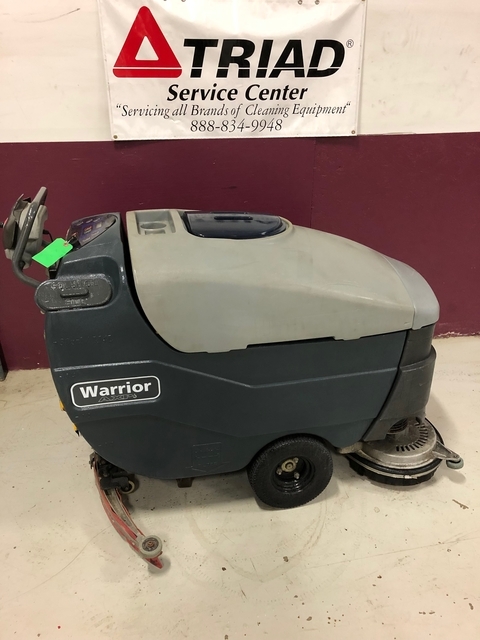 Advance Warrior Walk Behind Floor Scrubber is a top of the line floor scrubber for jobs of all sizes. 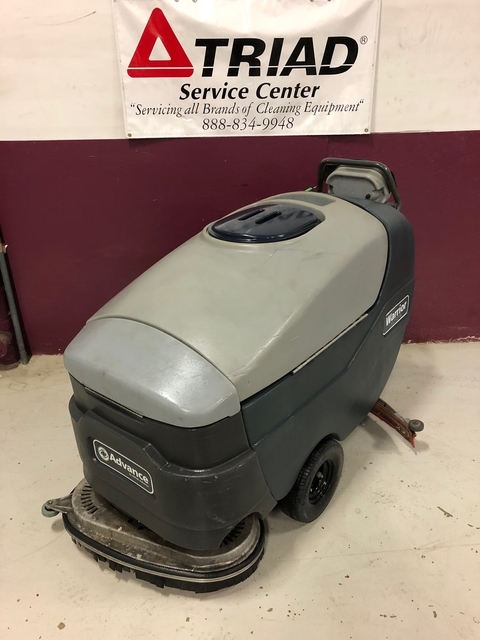 This pre-owned floor scrubber features a 30-gallon solution and recovery tanks. The 36-volt scrubbers are operated by six batteries for longer run times. 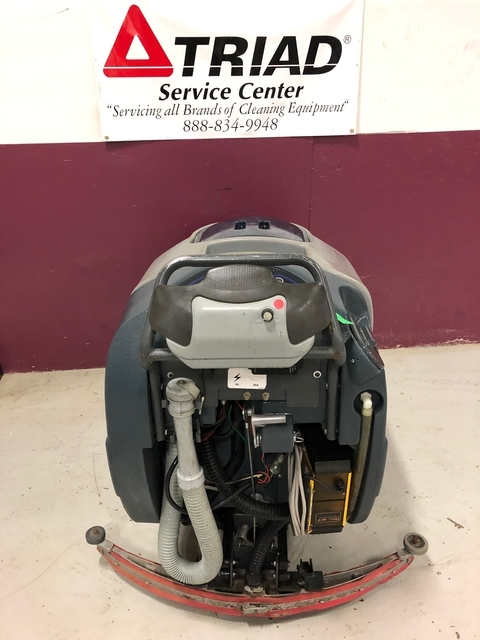 The Advanced Warrior X28D-C is simple to operate, featuring a single touch to the control pad, positions the scrub deck on the floor and readies the vacuum motor and solution solenoid to operate with the two scrub brushes. This machine propels itself forward while the brooms rotate and the control buttons offer three pressure levels and three water volume levels. TANKS 30-gallon solution & recovery tanks.